Whilst I’m happy to share a camp fire with pretty much anyone, it’s been a real pleasure to have a few sappers, members of the Corps of Royal Engineers, on courses lately. 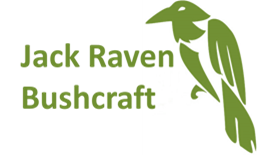 We’ve had an ex-sergeant on our Carving course; a serving full corporal on our Tracking & Nature Awareness course; and an ex-Captain on our Wild Foods & Woodland Cooking course. The full screw is currently in the same regiment as I used to be in (3 Sqn) and the captain had served there as well! With that said, when I was in 3 Sqn it was a field squadron, so a combat engineering squadron; it has since changed to an armoured squadron. Was good chatting about building bridges at night, tours we’d been on and so on, brought back some great memories. Ubique. 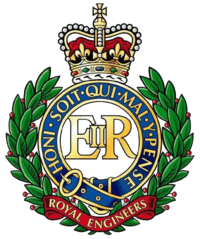 Find out more about the Corps of Royal Engineers. Update February 2017. I’ve been asked by Cassiobury Court to add the following. I’ve looked at their website and they are doing great work. Update August 2017. We’ve been contacted by a charity called Rehab Recovery to add a link to their page aimed at helping veterans with alcohol, drug and mental health issues. As an update, Joel and Boydie from Emberleaf (they had the stand next to us at Wilderness Gathering) were also ex-Engineers. Boydie had been in the same squadron as me, 3 Sqn, although with 20 years between!